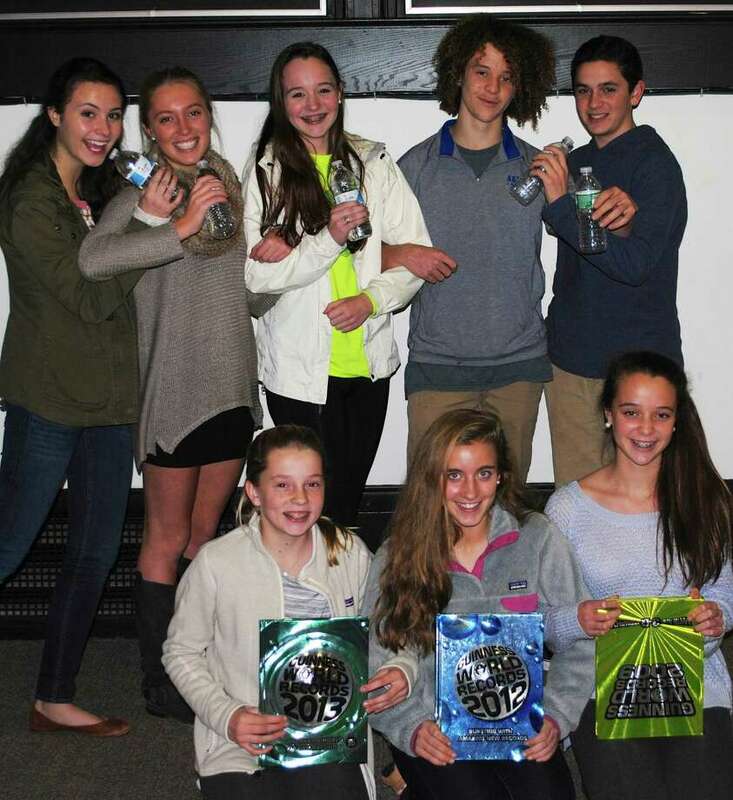 The Darien Youth Commission has set out on a mission to set a Guinness World Records event by hosting the world's largest arm-linked toast at Darien Town Hall on Jan. 31 at 2 p.m. The commission, which develops enrichment programs and activities for youth, invites all to help reach its exciting goal. "This is truly intended to be a multigenerational event, including young and old," said Alicia Sillars, the commission's youth director. "We are hoping members of other communities will participate as well. The more the merrier." The commission, comprised of both adults and high school students, challenged its student members to develop a new event for 2015. The students came up with the idea of the world's largest arm-linked toast, and to gain excitement for the event, suggested teaming up with Guinness World Records. The record for an arm-linked-toast is 495 people. The event is estimated to take less than 30 minutes. Those who would like to participate should arrive at the Darien Town Hall gymnasium at 2 Renshaw Road by 2 p.m. on Jan. 31. Youth Commission students are also hoping to benefit Person-to-Person by promoting a "Stuff a Truck" campaign the day of the event. Participants are encouraged to bring a nonperishable food donation to benefit the P2P food pantry. Suggested donations include spaghetti sauce, cereal, canned or dried soups, pancake mix, rice, beans or macaroni and cheese. "This is a fun and exciting challenge for all involved," said Jayme Stevenson, Darien first selectman. "The Youth Commission is fulfilling their directive by creating this thrilling event." For details and to learn how to participate, go to www.darienct.gov/yc or call 203-656-7388. The Youth Commission students were also responsible for meeting with local businesses to secure financial sponsorship. To date, local sponsors include Jeff Scalise Building Contractor; Baywater Properties; Darien Sport Shop; Ring's End; Masonic Club of Darien; Nielsen's Florist; Dr. David Osherow, DDS; Merrill Lynch; Palmer's Market; First County Bank and Floor Covering Warehouse. Sponsors will be at the event to offer community support.